Otters delight. 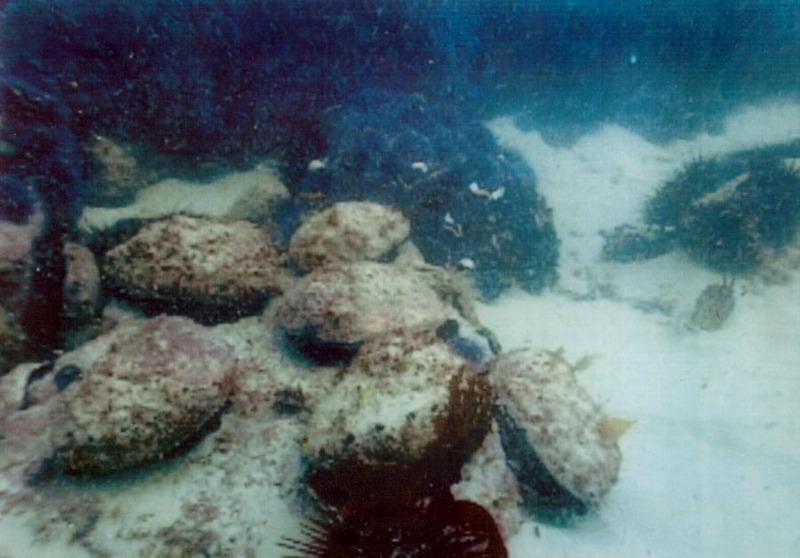 These red abalone are there for the taking. Otters use a rock as a tool and break the shell. They then eat a small amount (usually the digestive organs) and move on. Some non-commercial divers find the ones with the broken shells and take them if the incident happened recently. If you have seen many abalone shells, you will have seen the broken top part of the shell. Otters have as much or more to do with abalone depletion as man. 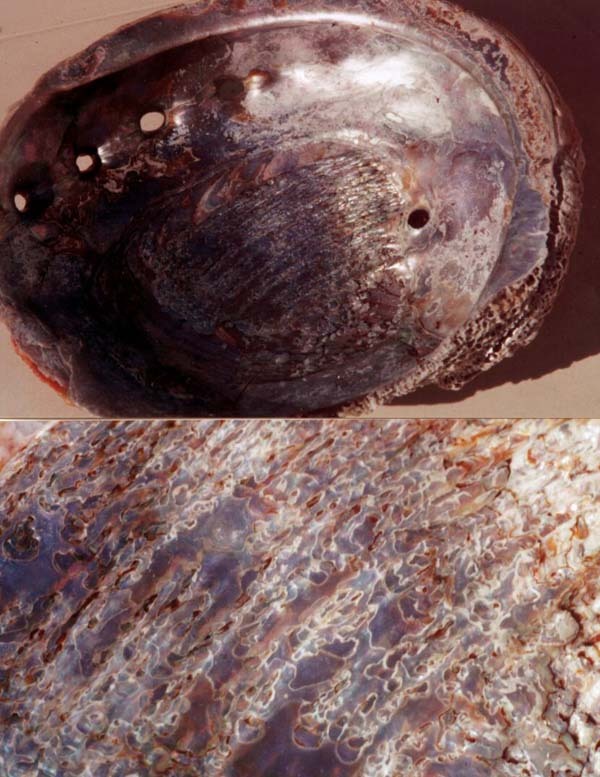 The abalone belongs to the family Haliotidae and the beautiful shell is called "Mother of Pearl". 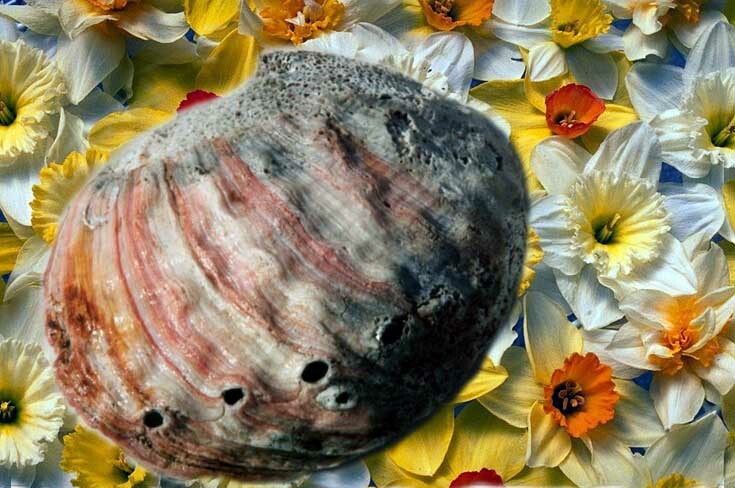 Mother of pearl is used in jewelry making, guitar fret decoration, buttons and beads. The lower close up photo of the interior of the shell is not unlike the mosaic cathedral ceilings of Ravenna. Very beautiful polished abalone shells are available in waterfront stores. I bought some at the Shell Shop and took them to Italy as gifts for friends. The shells are rare in most areas of the world.